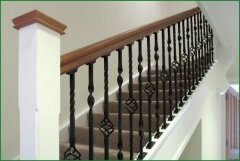 If you’re in Bournemouth or the Dorset area and looking for banisters, wooden spindles or metal spindles to build your ideal balustrade, Pear Stairs can offer you an impressive range of parts and unrivalled customer service. Dorset is famous for its piers, with ornate balustrades constructed from metal spindles and banisters. Such features are attractive, but at Pear Stairs we really know how to make them eye-catching centrepieces for your home. A finished Pear Stairs staircase is unrivalled in its quality and elegance; in fact, you could even say it was fit for royalty, just as Dorset was for King George III. Furthermore, our outstanding customer service will leave you feeling like a monarch, as proven by the testimonials on our website! If you find yourself more inspired by Dorset’s natural features, such as Durlston County Park, then you may prefer a staircase professionally crafted from wood. Wooden spindles and banisters can be produced in a variety of timbers, giving you the chance to colour match your stair parts to the relevant room; if you prefer a white-primed finish for your wooden spindles, then we are happy to indulge. Bournemouth’s Joseph Steps are famous for their staircase renovation. The original wooden balustrades were successfully replaced with metal in April 1985, and are now a local landmark. Pear Stairs is the ideal company to turn to if your stairway is in need of revitalisation or repair, and our experienced staff are happy to discuss such projects with all customers. This kind of success story is only the beginning of the ways in which we can transform your home with our range of bespoke, high quality stair parts. Every time you use one of our staircases, you will do so with the assurance that you made a choice that will display excellent taste to your family and friends, and enhance the value of your property. 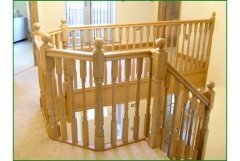 Simply put, Pear Stairs is the optimal supplier of wooden spindles, metal spindles, banisters, balustrades and stair parts for Bournemouth and the Dorset area, and we won’t be beaten on quality!